Eva Jordan's much-anticipated follow up to the bestselling `All The Colours In-Between'. 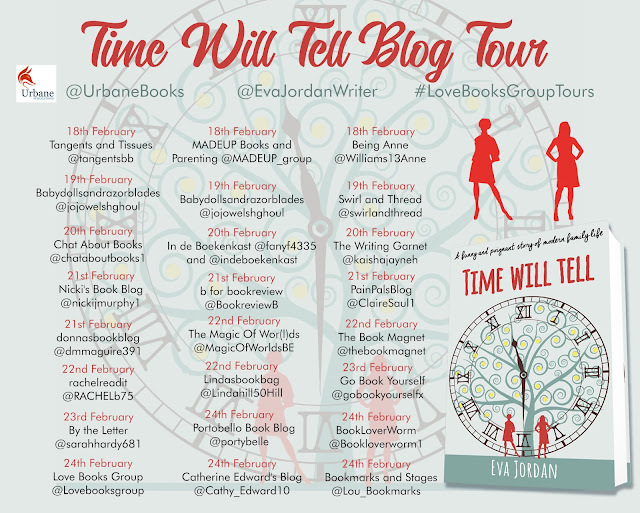 Many thanks for hosting me here on the Blog Tour for my third novel Time Will Tell. Today, I thought I’d give you a humorous insight as to some of the “tools” I consider useful during the writing process. 1. Foremost—coffee! Research suggests an estimated 70 million cups of coffee are drunk in the UK every single day—wow! I can’t get anything done until I’ve had my first cup of the day, and although advice about the health benefits of coffee is conflicting, the caffeine it contains is believed to stimulate the nervous system, making us more alert and focussed. However, too much can make us anxious and shaky—so it’s all about moderation, folks. 2. A laptop or a computer. Goes without saying I suppose, although there are authors who don’t use modern technology to pen their novels. Joyce Carol Oates says she prefers to write everything by longhand, and although Neil Gaiman writes his screenplays on a computer, he prefers to write his novels by hand. I prefer a computer. I trained as a typist when I left school, so I still use my typing skills to tap away at the keyboard. However, I use notepads to jot things down, so that brings me to my third item. 3. Notepads. I have lots of them: cheap ones, expensive ones, pretty ones. Some I’ve bought myself, others given as gifts, but I always have one by my desk, plus a small one in my bag for when I’m out and about. I even have one by the bed. Inspiration can come at the oddest moments, so it’s good to be prepared. I’ve yet to find a waterproof one for the shower though! See a small selection of some of my notebooks in the pic below. 4. Peace and quiet. I know some writers who love to pen their latest creation in cafes, or at home in the kitchen among the hullabaloo of everyday life. I prefer peace and quiet, although I don’t mind the familiar background noise of family life, as long as it’s behind a closed door. Occasionally, I write to music, especially if a particular song or composition has inspired a scene or chapter in my head. However, there is a special someone in my life that I don’t mind sitting with me while I write… Simba, my rather grumpy, but rather lovely cat. 5. And last but not least—chocolate. My guilty pleasure. Aww… c’mon, writing is hard work, uses a lot of energy, surely I can be forgiven this one indulgence? Besides, it’s official, chocolate is good for you! I’ve done the research and experts suggest chocolate is beneficial for the heart, circulation and brain. Just not a lorry load of the stuff. Like the coffee, it’s all about moderation! Danielle knew early on that she was not like most children at her school. With a chaotic home life riddled with violence, neglect, abuse, and poverty she learned early on how to survive and adapt. Every challenge taught her a valuable lesson about resilience and self-motivation allowing her to develop an unshakable positive mindset, along with a sense of humour. This book takes the reader on a journey detailing the life-changing events which tested Danielle’s resilience and willpower. She bravely shares the difficult choices she was forced to make in order to safeguard her precious family as long-forgotten secrets are revealed. This uplifting, shocking and empowering book chronicles Danielle's story and her determination to never let her past define her future. It promises to inspire the reader that change and choice are absolutely possible and that nothing is ever insurmountable. I have always written, whether it short stories, the start of books or poetry. I am an avid reader and toyed with the idea of putting my story to paper for many years, yet three things stopped me. 2. Lack of Know How- how did I start writing, what did I do once it was finished? 3. Other peoples opinions! Who was I to write a book, why is she doing it!! These three objections stopped me for years, UNTIL... July 2017. 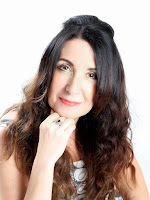 I paid for a personal development course which I didn't know then, would change my life. I was in a dark place, feeling isolated, stressed and unable to detect from my traumatic past. I could barely afford it, yet found the dollar and went along, a little skeptical I hasten to add. Part of the course was sitting and telling my story. I spoke for 2 hours nonstop, starting at the beginning, ( a very good place to start) and ending with how I felt that day. I spend up that I had always wanted to write a book to inspire and help others come through adversity and trauma, but was clueless and petrified. Sharon looked me in the eye and with the absolute confidence told me to just do it! I know it sounds very Nike Ad. but all I had needed was the belief from someone whom I trusted and I was away. I couldn't wait to get home to start. That night I wrote 500 words. I had in my head I needed 72k ish words and wrote constantly until finally in May 2018 the book was finished. I printed out my huge manuscript, yet had no idea what to do with it. I was terrified of applying to agents. what of every single one though it was terrible and that I couldn't write at all! Terror once more stopped me and it gathered dust on my desk for 2 more months. In July 2018 a friend of a friend appeared on my FB page. I stalked her a little and realised that she helped people to write and publish books. Mine was already written, so with trepidation, I called her and ask asked for her help. 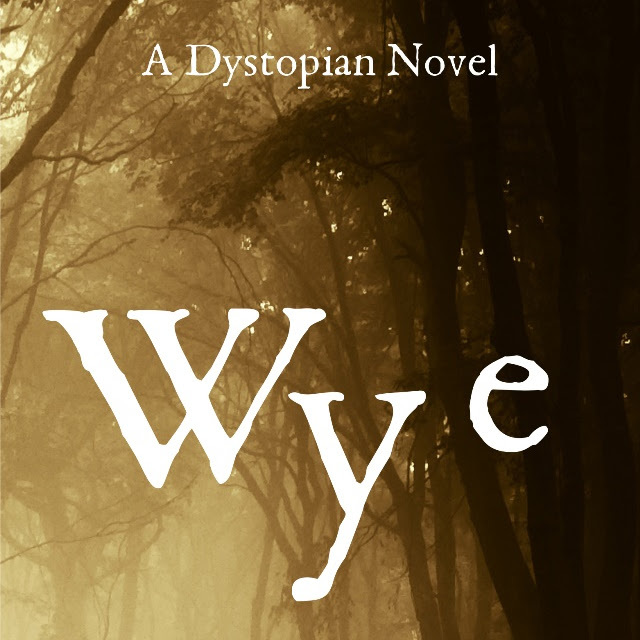 I sent my manuscript over and engaged Author's and Co to get my book to print. Finally, on 15th November 2018 my book It's No secret, Thriving after Surviving came out. It went to No. 1 in 3 categories by 8am that morning and knocked Oprah off the No 1 spot. 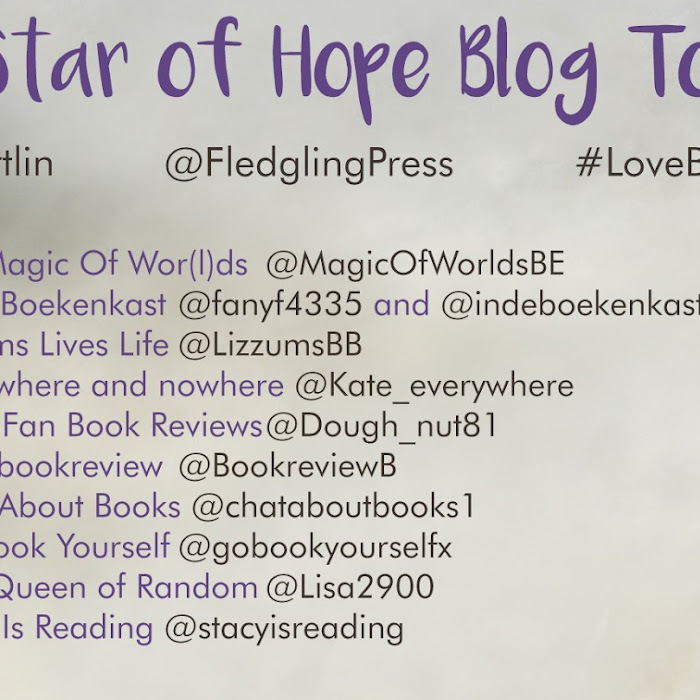 For me, writing was about giving others the gift of hope and empowerment. It's about sharing my dark, sometimes scary and socially unacceptable story in the hope that just one survivor also steps out towards their ideal life and that anyone who is faced with challenge or adversity can find the strength to get through it and not just bounce back, but bounce forwards. Everybody in the kingdom is supporting the brave knight Leo in his battle against his fearsome dragons. They try lots of different things to help him defeat them but eventually Leo realises that the most important thing to do is to believe in himself. This beautifully illustrated book with a poignant and uplifting rhyming story encourages children to persevere and find strength in the face of adversity, even when it seems that nothing is working. Written by Gill White for her son Leo who suffers from Ohtahara Syndrome, an extremely rare form of epilepsy, and beautifully illustrated by Fife artist Gilli B, this story has been positively received by parents of children with complex needs, by care workers and medical staff and by parents of healthy young children who love the book simply as an adventure story. All royalties from the sale of this book will go to CHAS (Children's Hospices across Scotland). Confession: I never say no when I'm asked to review a children's book/picture book. I'm a sucker for a beautifully illustrated book. But when Kelly of Love Books Group told me the story behind the book, it made me even more eager to read it. 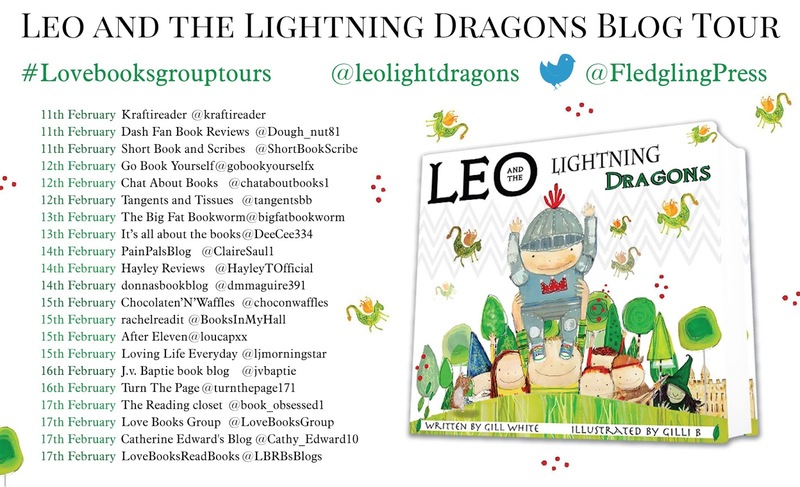 In Leo and the Lightning Dragon, Leo's condition is presented in the form of a brave knight who fights dragons; definitely, an accessible way for children to learn about the condition. Some people can run away when faced with their fears. Leo can't. The battles he fights, the lightning dragons that cause his seizures, are inside. The doctors and nurses who try to help him are present in the form of witches and wizards that brew potions in an attempt to slay the dragon. The most important underlying message is that Leo is not alone, he has a village of supporters behind him. It sends a positive message to children, that if you're going through hard times support and love can make the difference. I particularly liked the suggestions at the end of the book to make the book a sensory experience. I would recommend that if someone is intending to read this book to a child that they read the back pages first and have some of the ideas ready before they start. As an illustration fan. I have to say that the artwork in the book is really beautiful. Strong washes of green are accented with bright reds, with only used to show fine detail. It gives the book a bold bright appearance and will be welcoming to young readers. I would happily recommend this book for any child that loves fairytales. And I wish Leo all the best, I hope he slays his dragons for good one day.